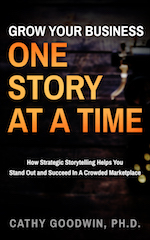 When you offer a service, storytelling helps you sell yourself. When your story becomes the focus of your About Page, your story becomes your brand. Therefore you need to manage your story, just as you would create your logo, colors, and tag line. For example, Beth started a business while she was working full-time. She simply put out the word that she was available to organize kitchens, offices and cluttered closets. Beth didn’t have much of a story. She’d always enjoyed organizing since she was a child; she didn’t have a story of her own clutter. She didn’t have a business story because her business grew almost effortlessly by word of mouth. Anita was a gifted seminar leader and speaker but her business was growing slowly. She believed she needed a story that ended, “I’m now speaking to large audiences and enjoy a six-figure income …” However, she was still growing her business and her accountant advised her not to divulge her income anytime, ever. Beth, Stan and Anita don’t want to share those stories. Here’s what can they do instead. These stories lend credibility, especially if you’re in a field where you want to stand out. 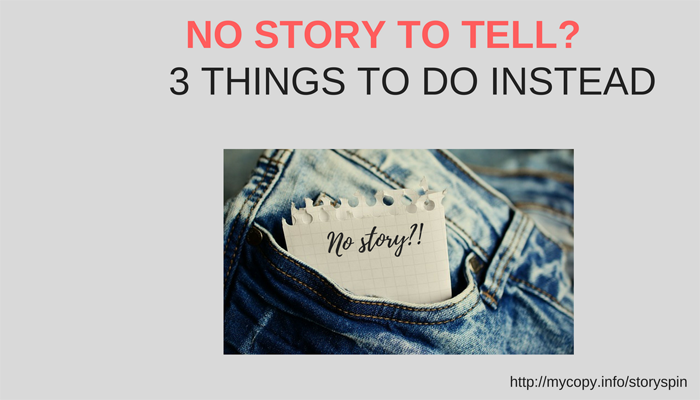 Solution #2: Instead of “My Story,” share what you have done for your clients. If you’ve helped at least one client — free or paid — you’ve got a success story. 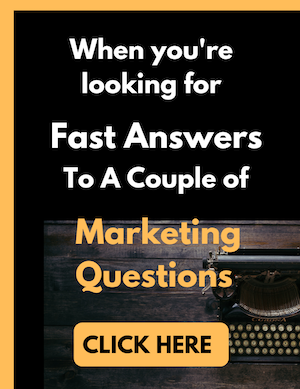 When I work with clients on copywriting, I ask for 3 success stories. Thee stories become the foundation of their websites and sales letters. Solution #3: Instead of a “what happened” story, share a “why” story. For example, let’s return to Stan, the relationship coach. Stan watched his best friend go through a bitter divorce and then struggle with the midlife dating scene. He ended up helping his friend and realized many newly-divorced people were struggling to build new relationships. They needed coaching, not therapy. Stan’s story showed why he cared and why his unique brand of coaching was particularly helpful. By the way, are you frustrated with coming up with your own story — the best story for your brand? Check out my brand-new Story Consultation. Check out this NEW FREE training: Build A Standout Brand With The Perfect Story. Click here for details and registration. My book, Grow Your Business One Story At A Time, is now available on Amazon. Click here to get access and download. The why stories work so darn well. Because we all have drivers – or intents – behind what we do. I focus on following my love-fun and, following my freedom. My readers have built a similar life based on my example, my story, my experience. Before I knew I even made an impact a well known course creator explained how I inspired him to let go his 9-5 to become a full time digital nomad. Mad humbling for me, but hey, the power of a strong reason Why bleeds into people’s lives, namely, those who vibe with your message. Awesome post. That’s a great story right there! Not everyone has a story as awesome as yours and not everyone will recognize when they do have a great story. I know your blog — thanks for stopping by this one!